With the same specs as its original model, with classic 6.5-inch wheels, the official Electric FLY Plus Red Chrome scooters by HOVERBOARD® has an exclusive range of designs and patterns from camo to electricity, these exclusive to balancing board by HOVERBOARD® colours and styles really advance your experience on the electric board by HOVERBOARD® more fashionable and exciting. Patterns and designs that are too cool to not brag to your friends about. The special colour designs are really are the talk of town! Connect your phone to the built-in bluetooth speakers and cruise around on this model while listening to your favourite music. This self-balancing personal transporter by HOVERBOARD® is so simple to use, want to go forward? Simply just lean forward, backwards, sideways etc. Super easy and Super-efficient. These amazing transporters are the future. The Fly Plus by HOVERBOARD® has a certified genuine battery which are completely safe and the best of the best! The FLY Plus by HOVERBOARD® balancing scooter has top quality fireproof battery casing, with a battery life that will last journeys. With the fine smooth surfaces of the Electric Board, the pattern or colour is defined with clarity and is very clear to see. Simply place on charge when you’re done. Furthermore, all our HOVERBOARD® meet the applicable safety standards (UK) and are all certified and tested before selling. This model has now been upgrade with the auto-balance feature. Was happy with everything about the entire service right from the initial phone call all the way to the delivery from the DPD courier service. The product came on time and in good packaging, I find that the product is adequate to meet the functionality described on the website and what I was told over the phone also. 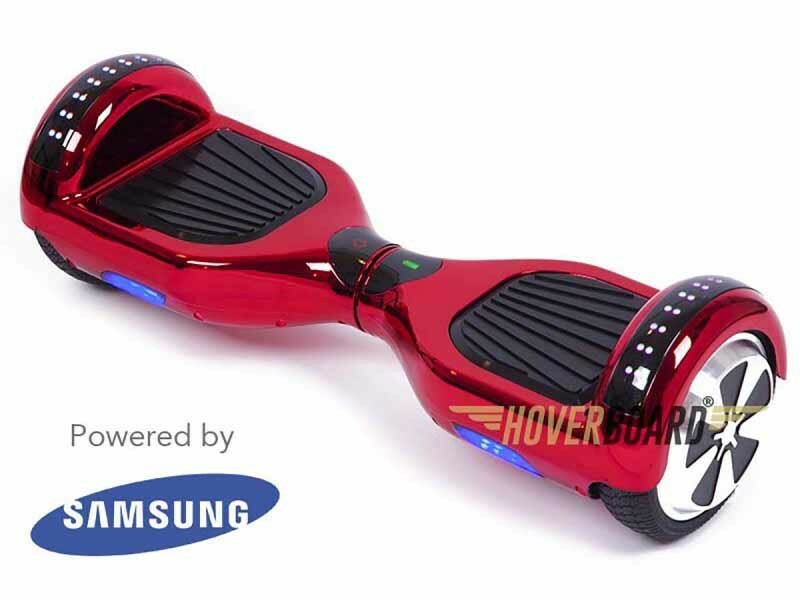 The board has such a devilish colour, with the dark chrome red, it looks so HOT! When I ordered this board, I had in the back of my mind a ton of issues, I usually find this with companies that provide electronics and what not, but with hover boards I had no issues what so ever. I am so grateful for all the support the team gave me over the phone when selecting my hover board. Great product, I was very fond of the colour and the service in terms of delivery was bang on, I am very happy with the product and service provided for such a competitive price as well.